Listen to This ArticleNew Jersey is a diversified state with so much to offer. And when you consider all of the special events and venues that are available, it makes sense to consider a professional New Jersey limo company to get you there.New Jersey is also an exciting place where you can explore great things to do, all of the time, all with the help of your New Jersey limo company.If you are planning on holding a special event in New Jersey, then there are many limo services to help make your special day... read more. 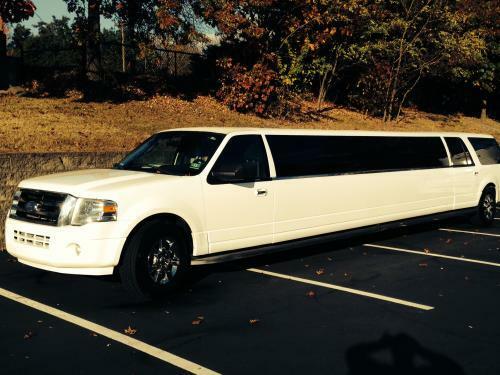 Listen to this ArticleWhen you begin your search for a Mountain Lakes New Jersey limousine service, you will quickly realize that there are many choices. Some limo services specialize in only the exotic SUV and H2 Hummer limousines for party vehicles, while others may cater only to the more traditional sedans and sedan stretch limos suited better for business trips and corporate transportation. Also, when shopping for a limousine provider, it is always smart to ask for references.You want to mak... read more. pa·nache [puh-nash, -nahsh]a grand or flamboyant manner; verve; style; flair: The actor who would play Cyrano must have panache.Origin:1545–55; variant (after F) of pennache < Middle French < early Italian pennachio < Late Latin pinnaculum, diminutive of pinna wing; identical in form with pinnaculum pinnacle--Limousines have often been considered a vehicle of the rich and famous. Did you know that they were believed to have been first use... read more. Listen to this ArticleTry getting around in New Jersey while also avoiding the traffic. New Jersey and traffic go hand in hand. Well, for most of everyone that is. For the drivers at Ultimate Party Bus and Limo, well, let’s just say that passenger safety is their most important consideration.Ultimate Party Bus and Limo takes pride in having the most experienced drivers in the industry. Have their chauffeurs drive you around in luxury and class, providing you with safety and comfort at the same t... read more. Listen to this Article Remember when parties needed you to travel to them? Meanwhile, you’d spend most of the evening stuck in traffic and the rest of it trying to find the venue. Well, goodbye party woes!Ultimate Party Bus and Limo is enhancing your party experience from the moment you step into one of their exciting vehicles.They can proudly say that they are one of the most trusted New Jersey companies in their industry. 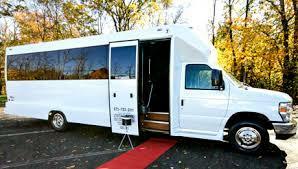 Their New Jersey Fleet of limos and party buses includes the... read more. When did you last use a New Jersey limo service? Listen to this ArticleIf you haven't done so recently, you're in for a surprise. A special treat.Limos offer the fun and joy of a safe, pleasant drive that is affordable. And if you are planning for your transportation to a special event, there's no need to look any further.Have you always dreamed of throwing the best party in New Jersey for your friends? Dreamed of enjoying a night out on the town with your friends? Does your dream wedding include a luxurious limo ride? It's happening every day for p... read more. 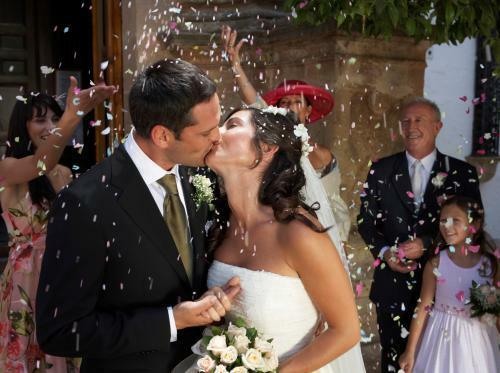 Listen to this ArticleNew Jersey weddings are all about the glory and glamour of the city’s nightlife. Parties today are more than just about having the right people around you; it’s about the right venue, the right ambience and the right food! Sometimes, the venue is a major problem. Meanwhile, the wedding season arrives and has every place seems to be booked. You find yourself lost in a huge city of wedding halls and lawns.So what do you do?Hire a party bus maybe?Weddings and a number of... read more. Listen to this ArticleOften, to get to an event, you need to travel quite a bit with the result that you’re tired travelling even before you get to the event. Don’t let the lousy journey ruin your party spirit. 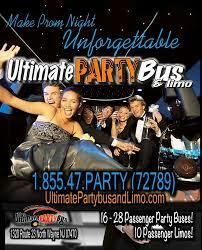 Your journey to an event will never be the same again once you’ve hired a limo or a party bus from Ultimate Party Bus and Limo where getting there is part of the fun.Ultimate Party Bus and Limo is based in Wayne, New Jersey but their services are provided all over New Jersey and bey... read more. Listen to this ArticleThese fun vehicles are available in a variety of forms such as traditional limousines, stretch limousines, party buses and more. Traditional limousines are probably the most popular among the different types of cars. This type of limo is mostly an extension of a typical four-door sedan, with the exception that it is attached with a host of interesting features. There is no doubt about it: limousines are chic and always stand out for your New Jersey wedding or special event.They have no... read more.